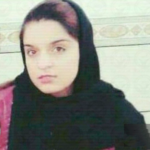 Human Rights Activists News Agency (HRANA) – A 16-year-old jumped from a building under construction in an apparent suicide attempt in northern Iran on Wednesday, September 19th, 2018. According to a local source, the teenager has been identified as “Y. Samadi.” He was living near the construction site in Yasreb settlement, Qaem Shahr county, Mazandaran Province. “He couldn’t be dissuaded by counselors, social service agents, or the police,’’ added the source. As of the date of this report, no updates on the teenager’s health status was available. According to statistics from Iran’s National Coroner’s Office, adolescent suicide accounts for 7% of all suicides in Iran.